Running in Galveston, Texas. 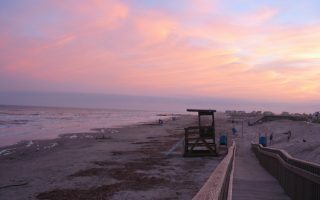 Best routes and places to run in Galveston. 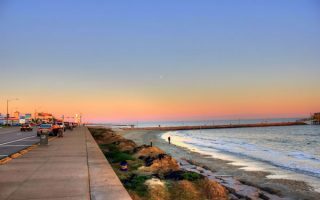 Galveston is a coastal city and port, located on Galveston Island on the Gulf of Mexico. The area draws some 6 million visitors annually, owing to its extensive coastline and proximity to Houston. The working port is concentrated on the western and northern sides of Galveston, while the Gulf-facing beachfront is on the south and eastern sides of the island. The city was developed in the late 1800s, and maintains a significant collection of historic buildings. Coastal storms and hurricanes have also been a huge factor in Galveston’s history. Running in Galveston centers on city’s coastal location. There are miles of beach that are great for running, owing to the relatively firm, compact sand. 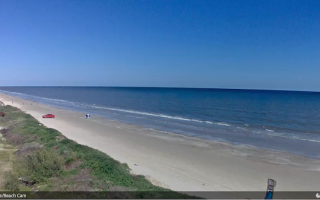 Best bets are Stewart Beach, East Beach, and the 20+ miles of beach on the Bolivar Peninsula, only a short ferry ride away. The signature run in Galveston is the festive Seawall Urban Park, featuring a 10-mile-long sidewalk along the water. It’s also fun to explore Galveston’s six historic districts on foot. 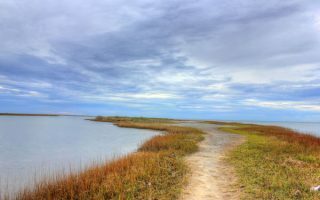 For some very pretty off-road running, enjoy the trails at Galveston Island State Park west of the city. Galveston is long, but narrow — it’s only 1.5 miles between the bay and the ocean. There is an island trolley, but not much else in the way of public transportation on the island. Runners should also be aware of the heat. May through October are hot and very humid, with abundant rainfall in the form of thunderstorms. Run the longest continuous sidewalk in the United States, while enjoying splendid ocean views! Seawall Urban Park is the sidewalk along Seawall Blvd. on Galveston's Gulf (south) side . Good water views the whole way. A festive scene. There is our guide to the best beaches for running along Galveston's 32 miles of coastline. Our favorite is the 3+ miles between Stewart Beach and East Beach. Also runnable are Seawall Beach, and sections of beach west of the seawall. 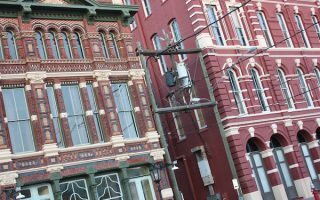 Galveston has several well-preserved historic districts downtown that make for an excellent 'runseeing' tour. We recommend an exploratory run in the main historic area, from 26th St. to 10th St. west to east, between the bay and Seawall Ave.
Straddling both the beach and bay sides, Galveston Island State Park has 4 miles of trails that are suitable for running. There are lovely views of the beach, bay, wetlands, and coastal prairie. Located 10 miles southwest of Galveston. Beach runnable as well. A quick ferry ride from Galveston to sort of a different world. The highlight is 27 miles of beach shoreline, with a long, continuous beach that's great for running. Also some fun running on the residential side streets of the Crystal Beach area. Galveston has a humid subtropical climate. Runners should be aware that summers are uncomfortably hot and humid, with average high temperatures reaching 90F (32C), and nights that rarely drop below 75F (24C). Spring and fall are a bit more comfortable. Winters are delightful and mild, with average daytime temps in the 60s (16-18C) and lows in the 50F (10C) range. 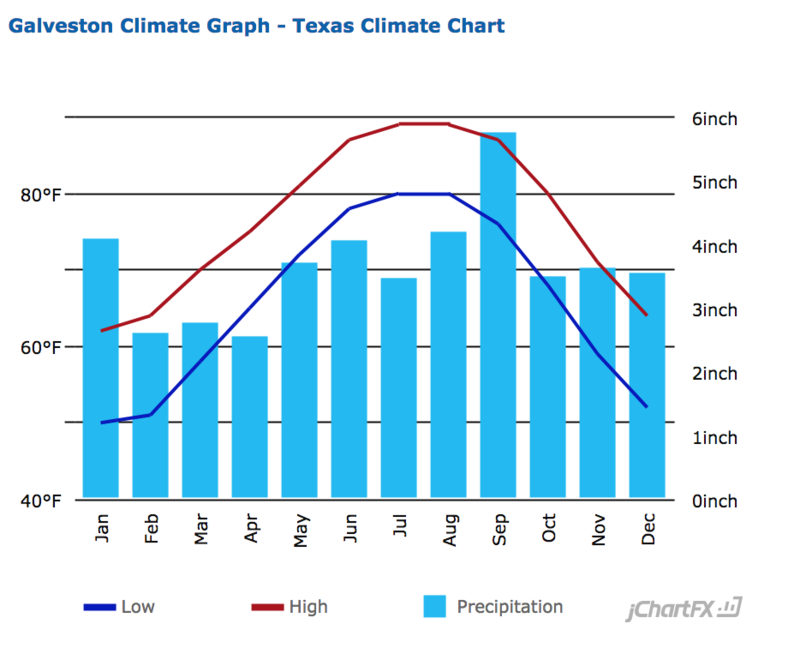 Precipitation is fairly abundant and evenly spread through the year, though June-September are prone to hurricanes. 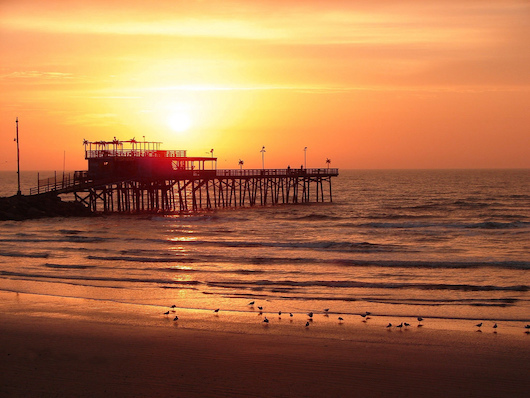 Galveston is a popular visitor destination, and has an abundant array of places to stay. Given that it’s only 1.5 miles from north to south on the island, pretty much any hotel have good proximity to running on Galveston’s beaches, Seawall Urban Park, and downtown’s historic districts. Most of the coastal hotels are concentrated along Seawall Blvd. West of 61st, St., it’s more residential and remote. The recently re-opened Fit Tri Run is the one independently operated running store in Galveston. This is the place for runners! Owned by Kim & Steve. Good link for running events in Galveston.